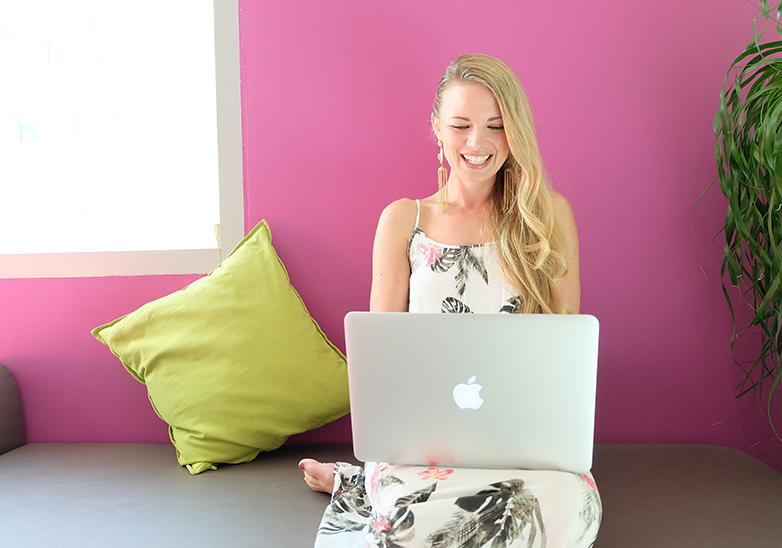 Let’s work with our current web application created in the earlier sections. 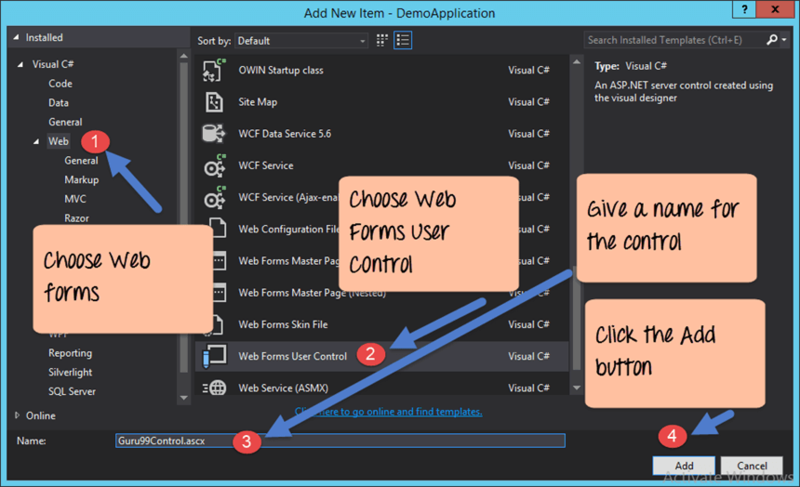 Let’s follow the below steps to create a Web user control. In the project dialog box, we can see various options for creating different types of components. Click the “Web” option on the left-hand side. When we click the “Web” option, you see an option for “Web Forms User control.” Click this option. We then give a name for the Web Control “Guru99Control”. 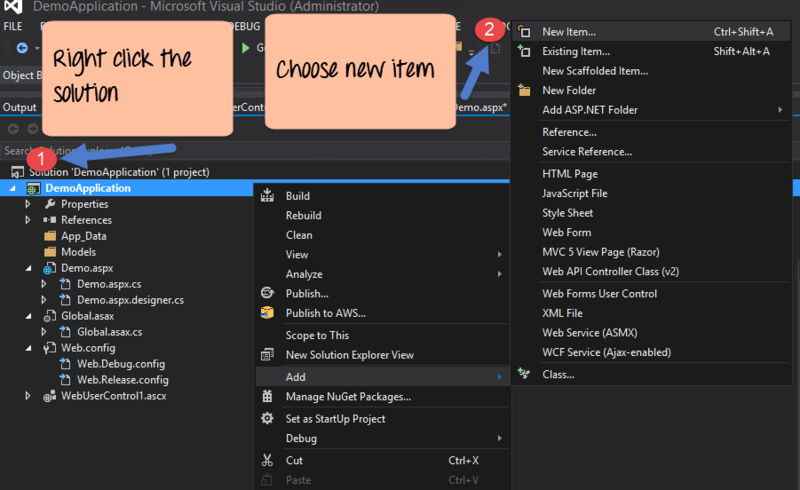 Finally, click the ‘Add’ button to let Visual Studio add the web user control to our solution. You will the see the “Guru99Control” added to the solution. 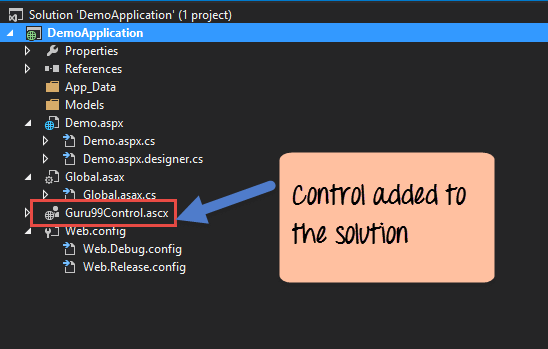 Once the custom ‘control’ is created, we need to use it in our web application. The first step is to register the component in our application (Demo.aspx). 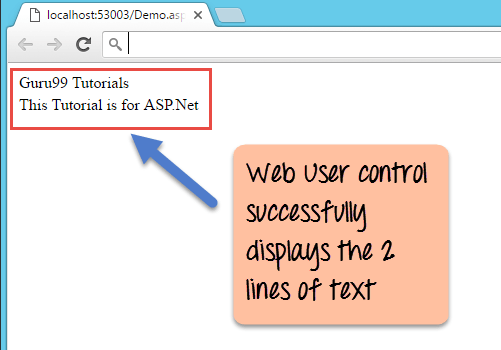 This is the pre-requisite to use in any custom web control in an ASP.Net application. Let’s look at how we can achieve this. The below steps are a continuation to the previous section. In the previous section, we have created our custom control. In this section, we will use the control in our Demo.aspx web form. 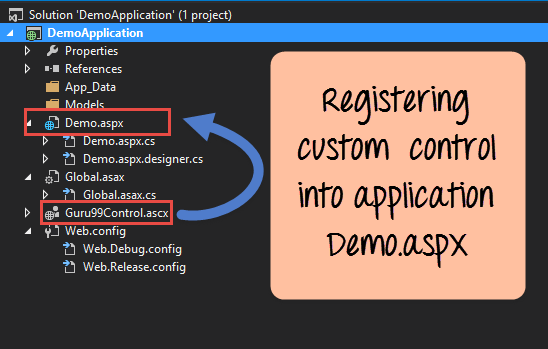 First, we will register our custom ‘control’ into the Demo.aspx file. Step 2) Now let’s add our code to register the user control. The screenshot below shows registration of the user control to the above basic code. The ‘Register’ keyword is used to register the web user control. Next, we reference our Web user control via the TagPrefix:TagName which was assigned earlier. The TagPrefix:TagName is an indicator that we want to use our custom web control. When the page is processed by the web server, you can see we have used the TWebControl:WebControl tag. It will then process the ‘Guru99Control’ accordingly.In our example, it is TWebControl:WebControl. An optional ID is given to the control of “Header”. It’s generally a good practice to give an ID to an HTML control. Sometimes one might want to use user controls in multiple pages in a .Net application. 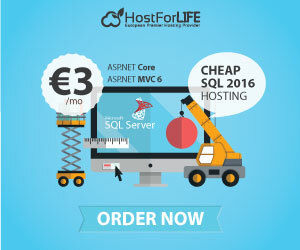 At this point, you don’t want to keep on registering user controls on each and every ASP.Net page. In .Net you can carry out the registration in the ‘web.config’ file. Let’s see how we can register our Guru99Control in the web.config file. When you open the web.config file, you might see the below configuration. 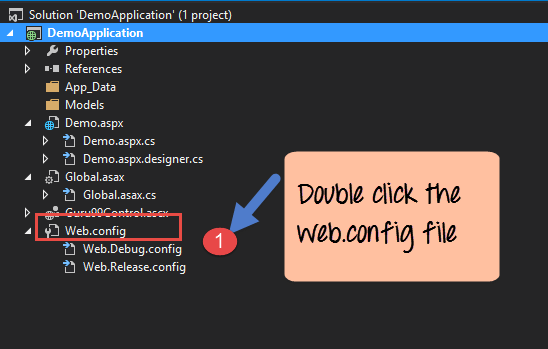 The ‘web.config’ is added automatically by Visual Studio when the project is created. 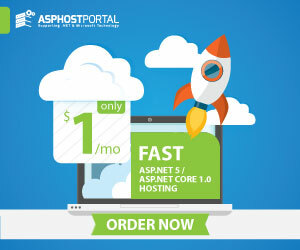 This is the basic configuration required to make the ASP.Net project work properly. Step 2) Now let’s register our component in the web.config file. We need to add the below lines for that. Step 3) Remember to go the ‘demo.aspx’ page and remove the lines for control, which had the registration of the Guru99 component. 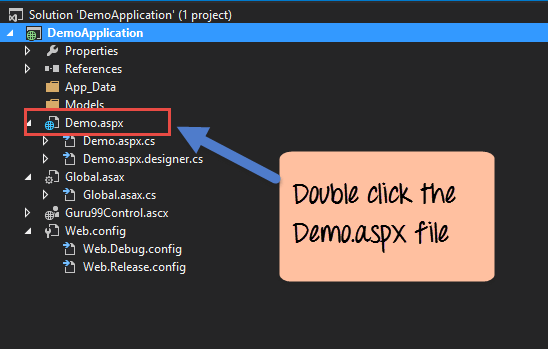 If you don’t perform this step, then the ‘Guru99Control.ascx’ a file will be executed from the ‘demo.aspx’ file instead of ‘web.config’ file. A property is a key-value pair associated with any control. Let’s take an example of the simple <div> HTML tag. A screenshot of how the tag looks like is shown below. The ‘div’ tag is used to create a section in an HTML document. The ‘div’ tag has a property called a style property. This can be used to give a different style to the text displayed in the div tag. Normally you would see the code for the div tag as shown below. So the color attribute is nothing but a key-value pair which gives more information on the tag itself. In the above case, the key name is ‘style’ and the key value is ‘color:#0000FF’. Let’s take a simple example and build upon our ‘Guru99Control’ created in the earlier sections. Let’s carry out the below-mentioned steps to get this in place. Step 2) Now let’s reference this property in our demo.aspx file. All we are doing now is just referencing the MinValue property and assigning a new value of 100. NOTE: – When you run this code, it will not show any output. This is because the output falls under 100 character limit.